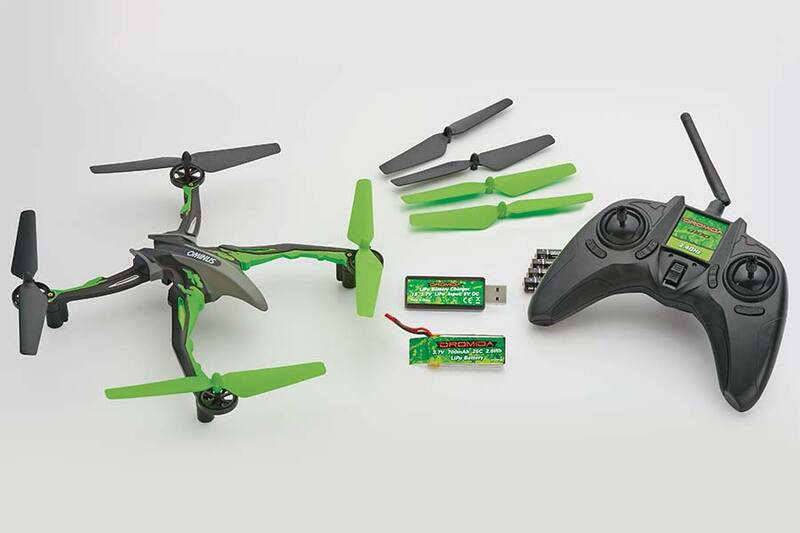 100% complete right out of the box, the Dromida Ominus 238mm Sport Quadcopter features one-button auto-flip and is perfect for any skill level. Click the vid-link to see what all this rough and ready quadcopter can do when she gets “all tangled up”! Now in stock and available in four different color schemes. Includes orientation enhancing lights that also can help keep the action going on into the night. Spare props included in the package!